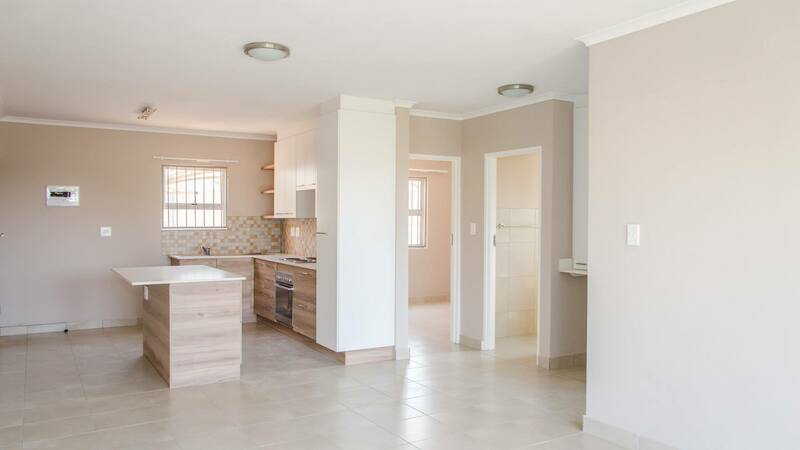 Tile Africa, supplied by Johnson Tiles, was tasked with all tiling for a new Uniqon Wonings housing development project in Pretoria, involving the construction of modern, affordable housing units with aesthetic appeal and easily maintainable floors. The tiles not only needed to tick all the boxes in terms of quality, affordability, and durability. The design and colour also had to suit the look of the interior concept and be available in bulk, to be used throughout the units and for availability shortly after. In this sense, sizing and batch variances can lead to a lot of frustration on site. Tile Africa selected to use the Screed Biscuit SE 204 400x400 Glazed Ceramic tile from Johnson Tiles for the living areas, bathrooms, balconies and staircases of the project. The screed look is modern and on-trend, while the subtle and warm light-grey colour selection appealed to the taste of all residents. More importantly, a continuous line of communication was established between the specifier, warehouse controller and site manager to align stock orders with the necessity of the project and to keep sizing and batch variances to a minimum. The ceramic tiles require ceramic adhesive, resulting in a more affordable installation than would have been possible with a different tile selection that uses costly adhesive, such as porcelain. A small tile size of 400x400, as opposed to 500x500 or 600x600 which are also commonly used in residential settings, resulted in less wastage in small areas such as the bathrooms. Finally, the low maintenance glazed surface lent itself well to quick and fuss-free installation to keep closely to construction timelines, as well as making it easy to clean for the resident’s convenience thereafter.